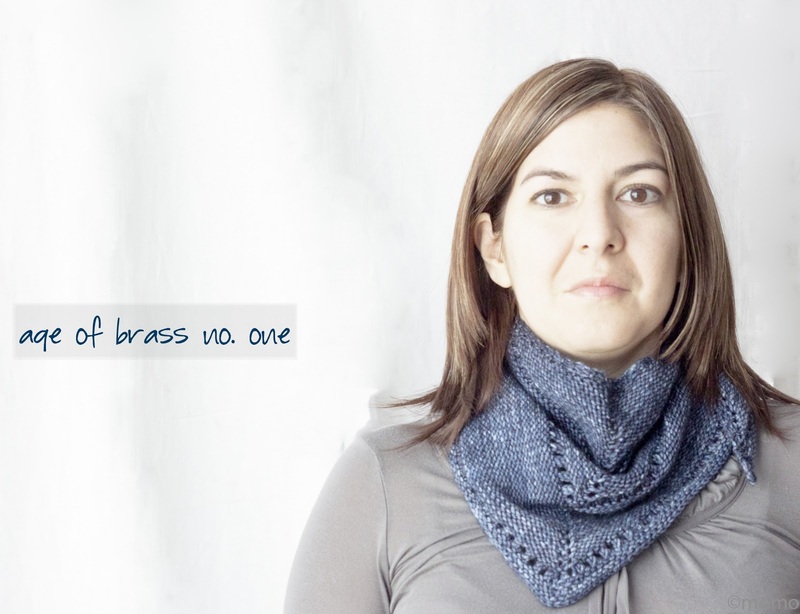 There were 3,611 Age of Brass shawls either finished or in progress last time I checked Ravelry! I've contributed two projects to the statistic. My first version is done out of Madelinetosh Merino DK. Yes, the yarn is all you have read about it and SO much more. I followed the pattern as written and ended up with a small shawl (shawlette?). This was going to be a birthday gift for my sister but I then decided that I wanted her to have a bigger shawl. What should one do when this happens? I bought more yarn, kept my chin up and knit a second version. For shawl no. 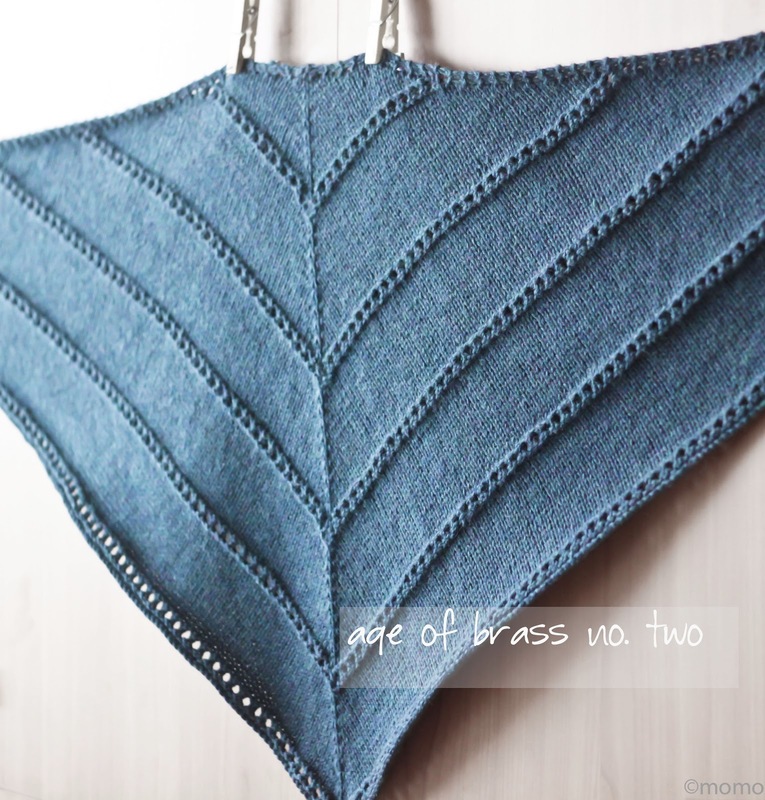 two, I used Cascade 220 Heathers. The color looks very close to shawl no. in the pictures but is grayish/ green in person. For this time around, I completed two additional pattern repeats for a full size shawl. At the end of the story both, knitter and recipient, loved the shawl. Thanks Nancy! I also liked the second one best - the one that I gifted. I had heard that the Age of Brass pattern ran a little small. I guess the bright side is you ended up with a lovely knit as well. Both shawls are gorgeous. Beautiful knitting my friend! Thanks Andi! I really like that the pattern is easy to modify depending on the yarn used and yardage on hand.